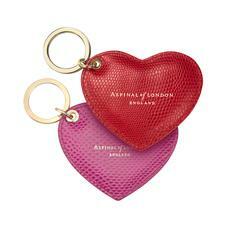 Dress your accessories with Aspinal of London's selection of handcrafted Key Rings and Bag Charms. Our London themed key rings celebrate Britain's most iconic symbols, while our Metal Star and Heart Charms and Key Rings explore a more understated approach with clean lines and modern simplicity. Embrace sleek functionality with our premium Leather Loop Key Ring or make a statement with our Leather Heart Key Rings available in an array of striking shades to showcase your unique style. 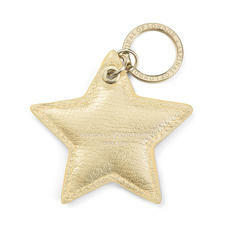 Dress your accessories with Aspinal of London's selection of handcrafted Key Rings and Charms. A playful nature runs through our Cut Leather Origami Charms, while our Metal Star and Heart Charms and Key Rings explore a more understated approach with clean lines and modern simplicity. Embrace sleek functionality with our premium Leather Loop Key Ring or make a statement with our Leather Heart Key Rings available in an array of striking shades. From stars to umbrellas, showcase your unique style.